(Engadget) You may have a good excuse to stay up late tonight. A rare total lunar eclipse, where the Earth casts a shadow over the entire Moon, is due to start at 12:53AM Eastern. Our celestial neighbor should be completely enshrouded by 3:06AM, producing an eerie coppery glow as it’s bathed in refracted light from Earth’s atmosphere. And unlike a solar eclipse, there’s a good chance that you’ll get to see this event if you’re reading this — most of the Americas will get the full effect, while partial glimpses will be possible as far as Australia and western Africa. If you want a better view of the proceedings than you’d get just by looking up, there will be a few options. NASA, Slooh and the Virtual Telescope Project are all running live webcasts during at least some of the eclipse. Some good binoculars or a telescope will also do the trick if you’d rather see the Moon first-hand, although you may want to get away from city lights for the best results. Don’t despair if you miss out entirely, for that matter. 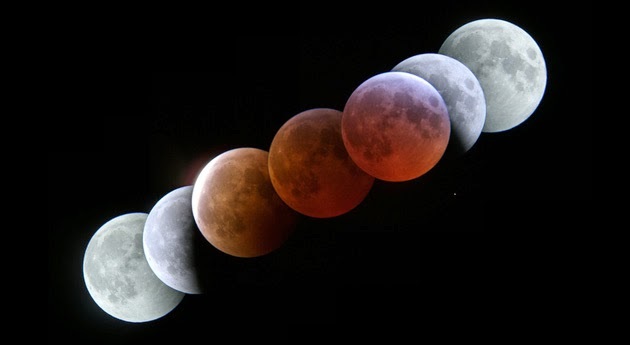 Total eclipses are usually years apart, but this year marks the start of a quartet of eclipses. You’ll get your next chance on October 8th, and repeat viewings will be possible on April 4th and September 28th of next year.